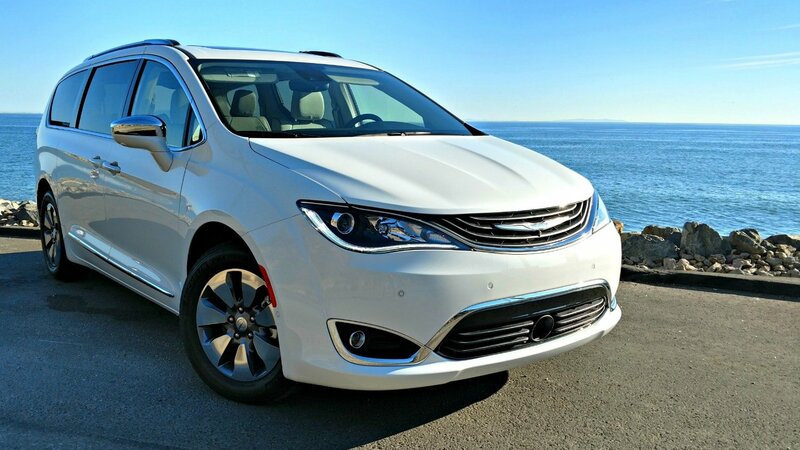 Chrysler changed the game when they introduced the 2017 Chrysler Pacifica minivan. Then they upped the ante with the 207 Chrysler Pacifica Hybrid. Whether you choose the gas engine or the hybrid, this is the minivan you’ve been waiting for! Yes, I said it, there’s a stylish minivan on the roads. The talented designers at Chrysler managed to take a seven passenger vehicle and make it look appealing … and efficient. On the hybrid model, the front grille has active aero shutters behind it to manage airflow. Chrysler swapped the traditional blue badge for a teal one. And the hybrid comes with unique 17- or 18-inch wheels which are designed to improve aerodynamics. I could spend a lot of time talking about how sharp the Chrysler Pacifica Hybrid looks, especially in the exclusive silver teal exterior, but its “figures” are even more impressive. The 2017 Chrysler Pacifica Hybrid’s 84 MPGe fuel economy rating in electric-only mode is the new benchmark for minivans. Yes, believe the hype, the new Pacifica Hybrid is the first minivan to receive a 10, the best-possible rating, on the EPA’s Green Vehicle Guide. 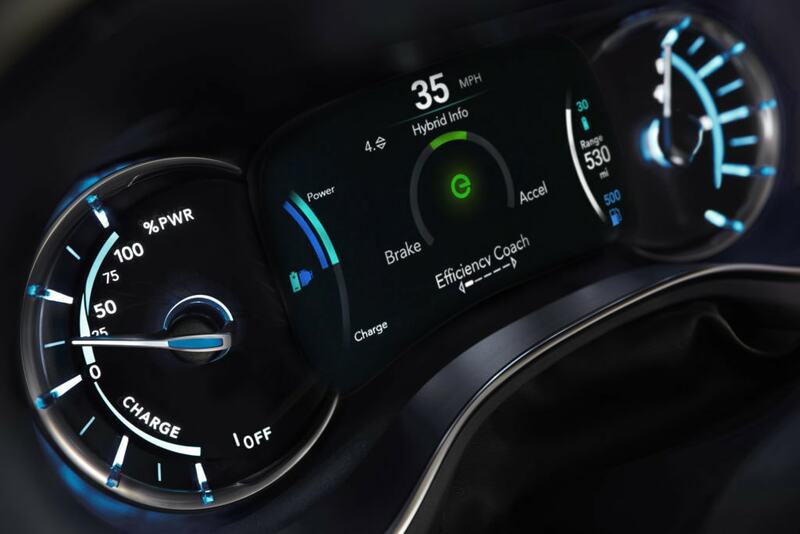 Research shows that hybrid customers want to maximize their time in electric mode, so Chrysler’s customizable 7-inch color thin-film transistor (TFT) cluster display offers drivers an “efficiency coach”. The efficiency coach offers the driver guidance on how to modulate the throttle to optimize energy consumption while accelerating, and provides guidance on braking in order to take full advantage of the regenerative braking that charges the battery. With cool available features like the dual-screen rear entertainment system featuring 10 inch touchscreens, automatic emergency braking, and an automated parallel and perpendicular parking system, the Chrysler Pacifica is the minivan that makes you the cool Mom (or Dad). And parents, have no fear, Chrysler gave you convenience features like segment-first hands-free sliding doors and liftgate. They open with just a kicking motion under the doors or bumper. 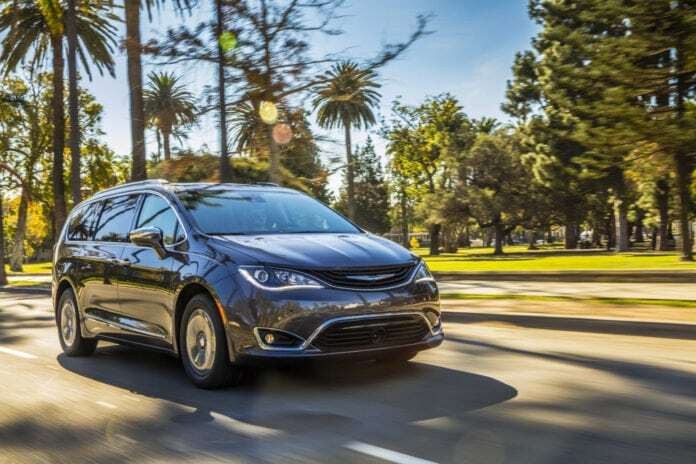 There’s also a surround-view camera feature that provides the driver with 360-degree panorama views, including a bird’s-eye perspective of the Pacifica. Owners can use Pacifica Hybrid’s Uconnect Access smartphone app to remotely access the vehicle’s charge status, receive charge status updates, schedule charging and locate nearby charging stations. I’d expect the 2017 Chrysler Pacifica Hybrid to be popular on the road and to win awards. Recently, editors at WardsAuto named the new 3.6-liter Pentastar V-6 hybrid propulsion system to the Wards 10 Best Engines list for 2017. The 2017 Chrysler Pacifica Hybrid starts at $34,495 after available U.S. federal tax credit (not including state and local incentives) and will be rolling onto a dealership near you in early January. For anyone keeping track, that’s before pigs are able to fly.